Self-adhesive booklet with raised Braille print is addressed especially to the pharmaceutical industry. 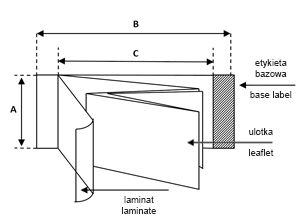 Print is applied directly to laminate, thus eliminating the need for attaching a label. 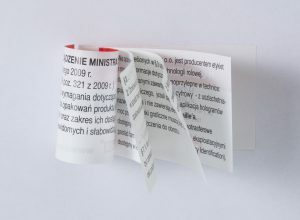 Legibility of is certified by the Polish Association of the Blind. Braille printed directly on laminate eliminates costs associated with producing an additional Braille label. Depending on the type of packaging (flat or round) we choose the best solution. The height and space between the dots has to be precise and the whole production process is controlled by a separate procedure dedicated to the pharmaceutical industry.